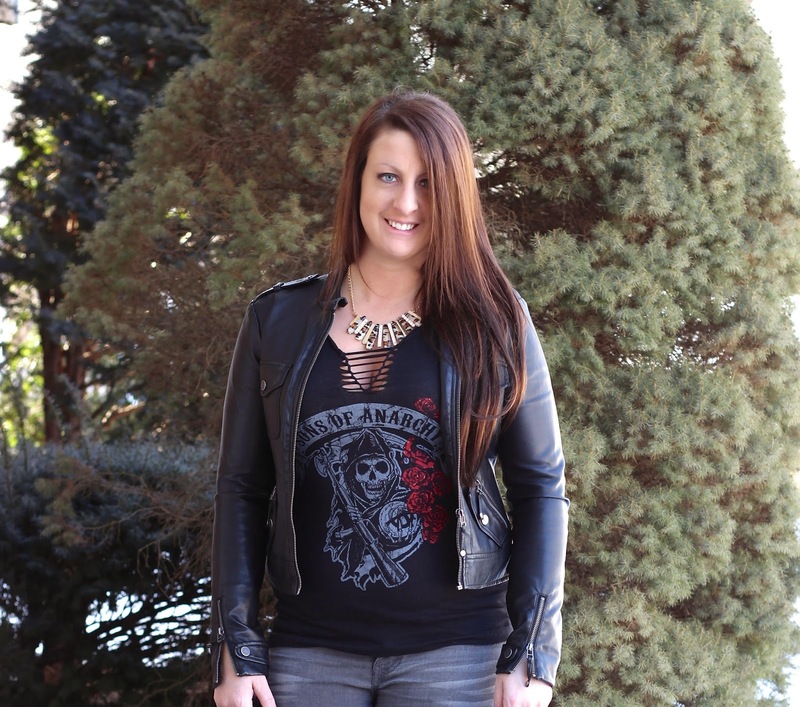 I figured Friday the 13th was a good day to celebrate my love of Sons of Anarchy. Even though the series is over, Gemma's style lives on. 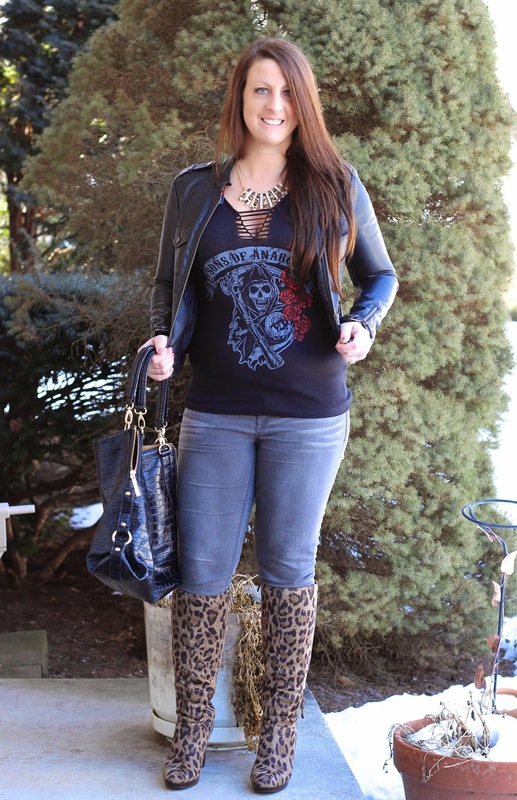 Shirt - Gifted | Boots - Impo Footwear | Jeans - Maurices at Rockvale Outlets Lancaster | Jacket - Bebe | Bag - Olivia + Joy.